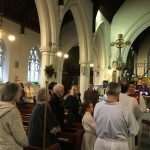 Our Church of England services are largely traditional and catholic in style but all ages are represented in our diverse and growing congregation. 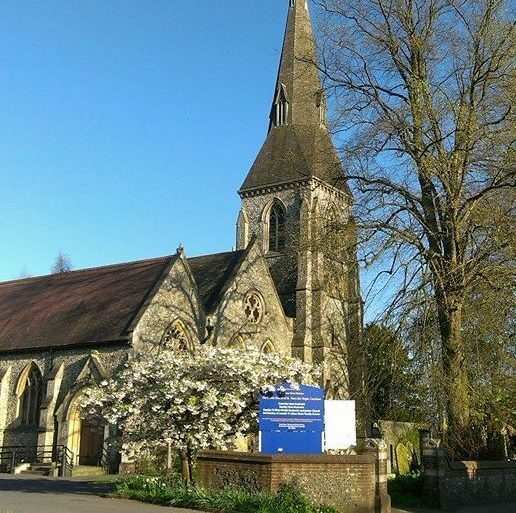 Whether young or old, a family or a single individual, when you come to our church you will find a warm and inclusive welcome into a supportive and friendly community. Our services are rich in tradition and symbolism. 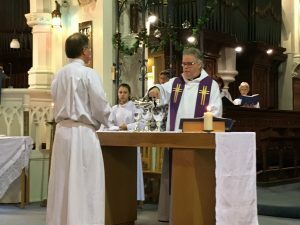 If you do not usually go to a Church of England church it may seem unfamiliar, but it is easy to join in simply by participating with the words and actions of the service. A service sheet is provided when you come in, along with a hymn book. The numbers of the hymns are displayed clearly and are usually announced during the service. Our services typically include readings from the Bible, prayers and a short talk or sermon by the presiding Priest. In many of our services we share the Eucharist, also known as Holy Communion or The Lord’s Supper. This sacrament is central to our belief that we are meeting with God in our worship. We do this by sharing the bread and wine, which represent the body and blood of Jesus and the sacrifice he made for us on the cross. This is called ‘taking communion’ and was introduced by Jesus himself. Before taking communion it is usual to have classes to prepare. These can be taken either as a child or as an adult, and are designed to help you understand the meaning and significance of this sacrament. If you have not prepared for communion in this way you are welcome to come to the altar rail and receive a blessing at the appropriate time by keeping your head bowed and your hands folded. If you are visiting us and usually take communion in your own church you are welcome to receive it here. Please indicate this to our servers by cupping your hands in readiness.